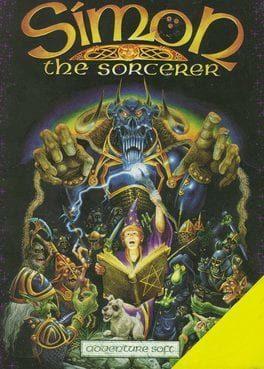 Simon the Sorcerer is an adventure game that was released by Adventure Soft on 2 January 1993 for Amiga and DOS formats. The game's name comes from the account of Simon the Sorcerer in Acts 8. The game includes parodies of various popular books and fairy tales, including Rapunzel, The Lord of the Rings, The Chronicles of Narnia, Jack and the Beanstalk and the Three Billy Goats Gruff. Simon the Sorcerer is available from 5.69 to 5.69 from 1 shops.